Legislation is often complex. We not only have the expertise and professionalism to guide our clients through the maze that is sometimes ‘The Law’ but we are wholeheartedly committed to service and client support. If you are looking for a human rights lawyer, we are here to help. 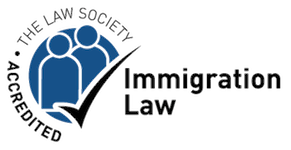 Our accreditation by the Immigration and Asylum Accreditation Scheme is testament to our commitment to keep abreast with the ever changing UK Immigration Law. It is worth expanding on some of these topics to help you see the challenges that the Law presents and the way in which we address these challenges. We stress we are happy to receive enquiries at any time with no initial obligation on your part. Applicants who have lived legitimately in the UK for five years may be eligible for permission to remain and after a year holding ILR, to apply for UK Nationality. It should be noted there are restrictions upon the time an applicant can spend outside the UK in order to be granted ILR. Applications will be accepted from a range of categories including Academic visitors and those with UK ancestry to domestic workers in private households, visitors in the UK undertaking medical care and dependents of those granted limited permission to stay in the UK. In the event of any doubt, you are advised to contact us to explain your status. Applicants in this category must have spent years in the UK and need to demonstrate Human Rights reasons why they should be permitted to continue staying in the UK if they do not qualify through the long residence criteria. Each case is judged on its merits and professional assistance is strongly advised in order for applicants to have a chance of success. As your human rights lawyers, we will advise on various relevant documentary evidence required to enable you to present a strong case. European nationals are usually allowed to enter and remain in the UK without restriction. Family members of EEA nationals who are not EEA nationals can apply to accompany the EEA national to the UK and remain. Rules governing admission and continued residence are defined by European Law. However, following the Brexit, it is uncertain as to how the law will be changed to reflect the UK’s future relationship with the rest of EU States. Whatever the outcome we are here to advise and assist you in securing your rights of residence in the UK. Entry Clearance (UK Visa) applications made from outside the UK are checked at overseas British Missions. Potential qualifiers include spouses, fiancés, civil partners, entrepreneurs, religious ministers, sports personnel, domestic workers, business representatives and students. We are happy to discuss and advise on your status. Our specialist solicitors have had favourable outcomes in successfully appealing on behalf of those whose applications have initially been denied. Human rights lawyers like us at CNA Solicitors will help prepare your case for judicial review. A Judicial review seeks to set aside a decision denying an applicant the status being sought and an application for such a review requires expert help. There are opportunities in the UK for employment in a number of sectors including domestic work. We can facilitate your application from the start to the successful conclusion. We are happy to assist students who wish to continue their education in the UK. There are some basic requirements and we are happy to guide you through the process. This category is far from simple and requires the applicant to work full-time on his or her business. We will assist you in the process or guide you to other alternatives you may wish to consider as well. We regularly handle applications within the current legislation and will discuss the situation with anyone that makes an enquiry, proceeding with the application after an initial discussion. The points based system was established as a means of regulating immigration into the UK. We will explain the basis of the system and assist with the application procedure. Entrepreneurs wanting to set up or buy a business in the UK to then run it can get permission to stay for three years initially which may ultimately lead to their being granted Indefinite Leave to Remain if the business generates jobs. Investors are equally welcome if they are providing significant investment and we are happy to advise of the levels of funds required. There is an opportunity for business people to come and work in the UK and our specialised staff is happy to discuss this in detail. Those with specific skills may be allowed to live in the UK and we are happy to discuss this with those wishing to apply and to guide them through the process. Are you facing immigration action, seeking to visit or live in the UK or need the services of a human rights lawyer? We offer a comprehensive list of immigration services and at CNA Solicitors, we take pride in delivering our legal services at competitive rates. To find out how we can help, please use our contact form, call us on 0207 118 2010. Alternatively, you can send us an email to info@cnasolicitors.co.uk.